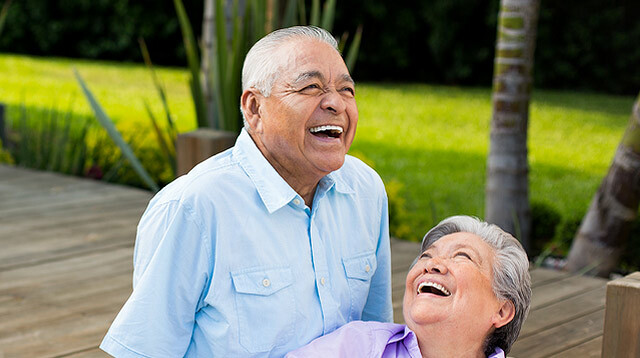 McAllen Medical Center is designated by the Texas Department of State Health Services as a Level II stroke facility and certified by the Joint Commission in Hidalgo County, making it an invaluable resource to the community. The facility meets the current Brain Attack Coalition, American Heart Association and American Stroke Association recommendations, and actively participates on the Texas Regional Advisory Council. Our neurointerventional radiology lab provides immediate evaluation and treatment of all stroke emergencies 24 hours a day, seven days a week. We deliver advanced endovascular stroke treatment, which is less invasive than traditional surgery and provides an expanded time window for treating patients. Certain endovascular treatments can greatly benefit patients if performed within 24 hours after symptoms begin. Mechanical Thrombectomy for acute stroke – For large blood clots, a thrombectomy is performed using a device called a stent retriever to remove the clot. A catheter is inserted into an artery in the groin and guided to the blocked artery in the brain. The stent retriever then opens and grabs the clot, allowing doctors to remove it. Endovascular repair is performed using a coil or coiling and stenting (mesh tubes). This is a less invasive way to treat some aneurysms. Clipping is performed by opening the skull and placing a small clip across the neck of the aneurysm to stop or prevent it from bleeding. Carotid Angioplasty/Stenting – Angioplasty is a procedure to open narrowed or blocked blood vessels to restore blood flow. A tiny balloon is temporarily inserted in the clogged artery and inflated to widen the area. This is often combined with stenting to help decrease the chance of the artery clogging again. Cerebral Angiography – This test provides images of blood vessels in and around the brain. It enables physicians to detect abnormalities such as arteriovenous malformations (AVMs) and aneurysms. Carotid Artery Endarterectomy – If you have carotid artery disease, an endarterectomy can help prevent a stroke from occurring. When plaque builds up in the carotid artery, it can reduce blood flow to the brain. During this procedure, the artery is opened or cleaned to improve blood flow. Spinal Arteriovenous Malformation treatment – AVM is a rare and abnormal tangling of the blood vessels at the end of the spinal cord. To treat AVM, physicians use a combination of embolization (closing off blood vessels) and microsurgery. Intra-arterial T-PA for acute stroke – During this procedure, a thin, flexible catheter is inserted into an artery in the groin. It is then guided up to the blood clot in the brain so the clot can be removed. You can also call 956-632-4944 (stroke) or 956-632-4282 (neurosurgery) for more information. Dr. Tekle received his medical degree from Addis Ababa University School of Medicine in Ethiopia. His neurology residency was completed at George Washington University, Washington, DC. He completed fellowships in both endovascular surgical neuroradiology as well as stroke and neurocritical care at the University of Minnesota in Minneapolis. Dr. Tekle is a member of the American Medical Association, the American Academy of Neurology, the American Heart Association and the Society of Vascular and Interventional Neurology. Dr. Hassan received his medical degree from the University of Medicine and Dentistry of New Jersey, School of Osteopathic Medicine (now Rowan University) in Stratford. He completed his residency in neurology at the University Hospital in Newark, New Jersey. He completed fellowships in both stroke and neurocritical care as well as endovascular surgical neuroradiology at the University of Minnesota. Dr. Hassan is the Chair of the American Academy of Neurology Endovascular Section. He is a board member of the Society of Vascular and Interventional Neurology and the American Heart/American Stroke Association – Southwest Affiliate. Dr. Georgiadis received his medical degree from the University of Wurzburg Faculty of Medicine in Germany. He completed residencies at both Case Western Reserve University in Cleveland and Drexel University in Philadelphia. He completed fellowships at Case Western Reserve University, the University of Minnesota in Minneapolis, and the University of Medicine and Dentistry of New Jersey, School of Osteopathic Medicine (now Rowan University), Stratford. If you or a loved one experience any signs of a stroke, call 9-1-1 immediately! A stroke, sometimes referred to as a cerebral vascular accident or a “brain attack,” is an interruption in the flow of blood to brain cells. Brain cells die when deprived of oxygen from blood. A stroke occurs when a blockage of an artery prevents blood from reaching cells in the brain, or when an artery ruptures inside or outside the brain, causing hemorrhage. A stroke should be treated with the same urgency as a heart attack. Every second is critical to patient care, survival and subsequent quality of life. If you or someone you know is having any of these symptoms, call 9-1-1. Our experienced ER staff are ready to care for you and your loved ones 24 hours a day, seven days a week. Ischemic stroke, the most common type of stroke, can be treated with the 'clot-busting' drug known as tPA. The drug can be given to patients within three- to four-and-a-half hours after the onset of symptoms. Time is important. If you notice symptoms of a possible stroke, call 9-1-1. More stroke resources can be found on the American Stroke Association's website.